Welcome to the MYRA Wealth Podcast with your host, Sahil Vakil. Every week, Sahil will bring you in-depth conversations with highly successful international and multicultural guests who share their personal finance strategies to educate you on best practices when it comes to managing your money. You'll hear from first- and second-generation immigrants and learn how they navigated some of the most important financial decisions of their lives. In this opening episode, we are joined by Matt Duke, the pricing actuary for a startup called Blackboard Insurance and the former president and CEO of Hike Transportation Technologies. Listen in to hear about Matt’s amazing journey from growing up in Trinidad and Tobago and immigrating to the United States at just seven years old to graduating with an MBA from the Wharton School and launching a ride sharing and hailing service that became Uber’s largest competitor in the Trinidad and Tobago market. You'll learn what made him decide to take the leap and start his own business, the financial rules he follows, and his best money management advice. What made Matt decide it was time to make the jump from a stable income to launching a startup. His professional journey after immigrating to the United States. Key differences he has seen in the personal finance behaviors of people from Trinidad and Tobago vs. people from the U.S.
What people in Trinidad and Tobago tend to pass down to their children. Matt's plan for ensuring his children have more than he had in his childhood. The different kinds education savings plans available. What he wishes more international and multicultural individuals knew about managing their personal finances. The best and worst financial decisions Matt has made. His approach to investments and savings. What he would do differently if money were no object. "Investing in yourself is the best thing you can ever do." - Matt Duke"
Sahil Vakil: Welcome everyone. Welcome to the first episode of the Myra Wealth Podcast. Our guest on today's episode is Matthew Duke. Matthew also goes by Matt. Matt is the ex-CEO of Height Transportation Technologies Ride Sharing and Hailing Service in Trinidad and Tobago. Height was Uber's largest competitor in the Trinidad and Tobago market. Matt started Height in 2017 after an MBA from Wharton school. He invested $150,000 of his own money to launch the company and quickly began giving Uber the biggest competitive run for their money. Unfortunately after a year in 2018, both Uber and Height decided to exit the Trinidad and Tobago market due to the deteriorating economic conditions coupled with the under liability of services rendered by telecom providers in the area. Matt returned back to the United States and now sells to the pricing actuary at a Fintech start up called Blackball Insurance with an IG Tech Company. Matt grew up in Trinidad and Tobago and immigrated to the United States with his family at the age of seven year. His former pursuit of knowledge began at Stoney Brook University where he elected to pursue a BA degree in applied math and statistics and economics while minoring in business. Upon graduation, Matt joined Travelers Insurance which had a strong leadership development program that provided him with the actuary credential support. This afforded him the opportunity to cultivate his actuarial skills while working across various departments and nurturing multidisciplinary skill sets and adding value across the company. Throughout his career Matt has worked with leadership teams of many companies to mitigate risks. He has pursued an MBA from the Wharton school and has transitioned into senior leadership capacities at Freedom Mortgage, a mortgage company. With proven success in corporate America, Matt decided to pursue his dream of being an entrepreneur and again invested $150,000 of his own money to launch Height TT. 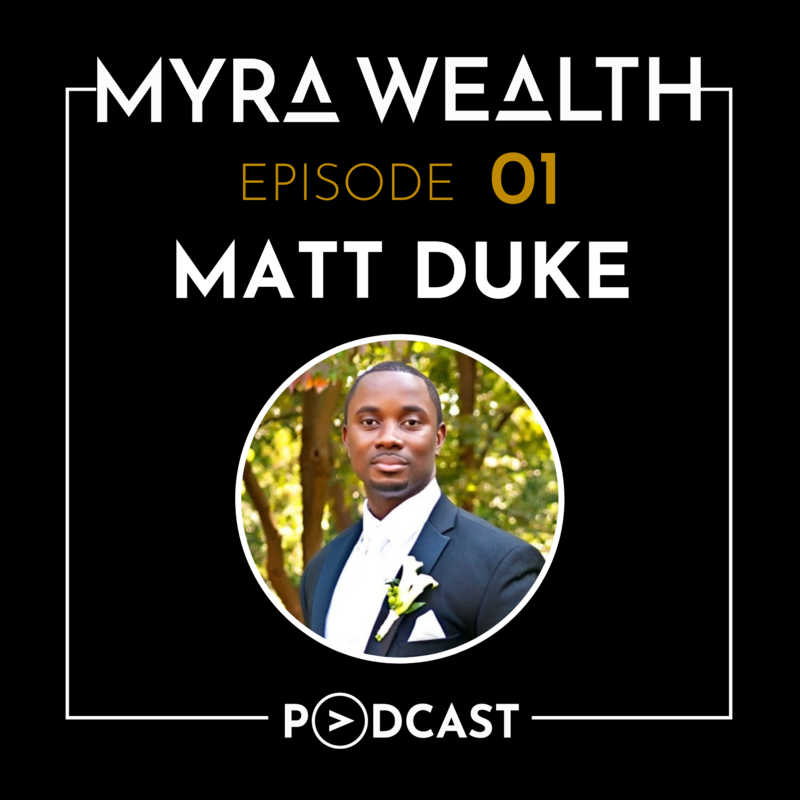 That's the other story and with that introduction, I welcome Matthew Duke to the Myra Wealth Podcast. So Matt, I've known you for a few years now and I know you are originally from Trinidad and Tobago. And I was settled in the United States. But please tell us a little bit about your journey. What brought you to this country? How did you get here? I mean in initiative, if there's anything else you want to add to your initial introduction, please do so. In that sense, please briefly introduce yourself. Matt Duke: Hi and hello everyone. Thanks for having me on the show. So, I am originally from Trinidad and Tobago. I came up to the US in about 97 where I completed high school. Then I went to undergraduate at Stoney Brook University out in New York. Doing applied math and stats, economics and a minor in business. My profession is called actuarial and so what I typically do is work with insurance companies to help determine how much money they need to keep in the bank or how much to charge for insurance. Mostly focusing on nonliving items such as car insurance, home owner's insurance, stuff of that nature. I then decided to pursue my MBA, sorry executives from Wharton University which is where I met Sahil. And while going through that venture, I switched companies. Decided to leave insurance to take a leap into a different industry which was a tremendous opportunity. Got to learn a lot, worked with a lot of great and smart people. However, I always had a passion to do something back in my home country in Trinidad. And so two years after, I decided to go ahead and start something up. The company was called Height Transportation Technologies. We launched in Trinidad and Tobago. We competed with Uber who actually launched a few months before we did and it was pretty exciting and interesting journey. Since then, we closed down the operations due to economic conditions and now I'm back in the US taking all of the lessons learned. Some of the successes and some of the lessons learned from the failures to apply to other industries including going back to the insurance industry. As I'm working for a start-up right now. Sahil Vakil: Wow, that's amazing. Your journey sounds fantastic. It sounds like you went from a role in corporate America to then launching your own start up. The coming back and now working back in a start-up. So it's kind of a very exciting and interesting journey. At what point did you feel like you were ready to make that jump from earning a very stable paycheck in corporate America to then launching a start-up where you go from a complete cash compensation, stable environment? To organized chaos as they call it in the start-up space where you owe just 100% equity. Talk to us about that process and that decision. Matt Duke: You said that absolutely correct. I will say making a leap of faith into business is the same thing as any other major decision you make in life. For the most part, you can never really be ready. So the thing that led me to say now is the right time to do it was. I was working with a few of my former colleagues and friends from different walks of life. Talking through some of the business ideas and as a hobby, just started off flushing out the business find for this one. And so it came to the point where I was having enough discussion with folks both in the US as well as some people that I reached out to in Trinidad and Tobago who worked for the government. Who for the most part, they actually initiated the conversation with me and said hey. We really like what you're trying to do. It'll be great if you can launch and as an FYI, Uber is actually coming as well. And while they weren't 100% fond of the model that Uber had which is one of disruption. So they didn't fully comply with all of the regulations. They liked the concept that we were doing then. And so that sort of helped to tip the scale and that we felt that we had a novel idea. We had support from friends, from family, from business colleagues and also getting the support from the government to say hey. Why don't you come and try this out. Definitely gave me the confidence to say why not? Sahil Vakil: Have you ever worked in Trinidad and Tobago before that? Because I know you mentioned you moved here in 97 but that was when you were in your teens. Is that accurate? Matt Duke: That is accurate, I have never worked in Trinidad and Tobago with the slight exception that I do have a small business which is almost operates as a car rental business with one of my friends that I grew up with. And he was also one of the colleagues and partners of the company that we launched in Trinidad. So I did have a little bit of familiarity with the economic conditions and working environment. But not to the scale of corporate America and nor was it a scale that Height Transportation Technologies was designed to operate under. Sahil Vakil: Right, absolutely. That's a fascinating perspective. If you had to help us understand the culture of subtle nuances as it relates to personal behaviors. Especially the personal finance behaviors of folks from Trinidad and Tobago versus individuals in the United States. What kind of variations or differences have you seen in the way they deal or talk about their personal finances or just any other financial decisions? Matt Duke: Sure so, the best way to understand how people manage their money within different countries is first understanding a little bit of the culture. And I will try to summarize what I believe were the most important differences that I found that led to decision making. One of the things that we found is that because the country doesn't really operate from a tourism perspective. And it has such a large footprint in oil and gas. The government is heavily invested in oil and gas. Which means a large majority of the population either works for government in some way, shape or form. Or they work for either their own business or they work for small to medium size businesses. And so that led to for the most part how people feel in terms of job security and how they manage their monies. So from a money management perspective, a lot of the people in Trinidad and Tobago I personally feel they and I can speak for myself as well. A lot of the times it's not as long term as I would like. Coming to the US helped me to open my eyes to not just worry about today or tomorrow but to think about leaving a legacy for my children or even my children's children. Not going back to Trinidad and Tobago, it means something different. In Trinidad and Tobago, it wasn't 100% of a monetary thing that we would try to leave. Here's an example, traditionally people will try to leave land, their home or property for their kids. Which probably is no different than a lot of people in the US. As a house makes up the majority of American citizens largest asset. However, while most people in the US may have the opportunity to buy their own home. The average amount of money a citizen of Trinidad and Tobago makes does not or will not allow them to purchase their own home. So a lot of the times the parents may have a piece of land with their home and with that money they may build an extension on the home so that their wife and family can grow into. Which is entirely different because and once again. The average citizen makes about 10,000 TT$ which if you do the math. That's less than $2,000 US a month. While once again, in the US you can actually buy a three bedroom one bathroom home in certain parts of the US. That's not enough to purchase your own home. So because of that, because of this community of living where most of the people in Trinidad lived in somewhat of an assisted fashion where they're living with someone. Or they are building on a piece of property. They're attaching to someone else's home. Then it never really was the mindset 100% to save up to buy a house. Save up to do this. Save up to do that. They use most of their disposable income more on either things that they felt important to them or things they wanted to do. But the way the US saves both from how to the government helps its citizens to save is far in between different than how Trinidad saves. As I don't believe the government is as active or as involved in saving as it is in the US. Sahil Vakil: Got it, very interesting. I think you mentioned a few things here which kind sparked at some additional questions. I think one, you mentioned something around the way individuals think. When you said one is a very short how do I earn my next dollar to potentially survive. Not survive but kind of how to just pass the next few weeks or months versus the other US mentality here more longer term. How do I save for retirement? That's very interesting. Also, you mentioned personally yourself, the longer termed piece about leaving a legacy. How do you want to be remembered some day? What is your legacy? Maybe if you had three things that you could do in your lifetime, what might those be? Matt Duke: Okay and that's a great question because my definition of legacy changed. So I'm not sure if I'm speaking for all of my fellow countrymen but I do believe this is true across the globe. That my first definition of view of leaving a legacy was having children. So that was really the first thing that I came across or thought about doing. But then as I started to learn more, acquire more and most importantly travel. As I've had a major opportunity to travel to Africa and to India and to many countries across the Caribbean. I realized that I wanted to expand that definition to include knowledge transfer. Not only do I want to have kids and god willing be able to see my kid's kids but I want to learn as much as possible in my lifetime so I can pass it down to them. And they can have a further head start than I did. Then the third piece now came up to be with regards to finances. Not only is it good to have children and have them be knowledgeable and business savvy or understand what's happening or what are the best decisions that can make for themselves. But also that in the event that they want to launch their own business or pursue a dream. I do want to be able to leave some sort of legacy in some way shape or form that will then allow them to pursue their dreams. So my legacy is not defined as in those three things but if you don't mind, I'll add on fourth one which is personally to me. As I'm very passionate about children in general, not just my own children. I do want to be remembered by making an impact on the lives of children in some way shape or form. That is how I would like to be remembered. Sahil Vakil: That's fantastic, this is great. On the same topic, you mentioned basically enabling your children having more than you had in your childhood, saved up for them. Can you disclose maybe some of the strategies you might be pursuing for that. As an example, are you setting up what is called 529 Education Statement Plan for your child? Are you looking into maybe charitable donations towards educating other children? Can you just give us an idea of what you might be doing? Some strategies in that space that could help our listeners. Matt Duke: Yeah so definitely the 529 are a huge investment that you can make buot that's something you can do from the day your child is born. So I currently have two kids. A son who's three years old and a beautiful baby girl who is about five months old. And so for both of them, the plan is to set up those plans for them which will be accessible for them to pursue education once they decide to go for their bachelor's and advance education if they choose to go down that path. The other thing too that my wife and I are currently looking into. As we're looking to get reestablished back in the US and we're deciding on what city you want to settle down in, purchase a home and things of that nature. Depending on where we decided to live may lead us to decide as to whether or not our kids would go to public versus private schools. And I believe there are other attached sheltered avenues that we can use as well that will actually pay for ninth through twelfth grades in addition to that. But I don't recall if it's pretax or post tax. These are things we're still looking into. Sahil Vakil: Yes Matt, you're right. There are a couple of tax advantage plans that enable you to save towards K-12 and higher education expenses in the United States. The three that come to my mind pretty much it's the 529 College Saving Plan, the UGMA Custodial Accounts and then the Coverdell Education Savings Account. We won't go to too much details but at a high level, 529 Plan basically allows you to make tax free investments and withdrawals for qualified education expenses. You are the account owner and you are in control throughout the life of the account. There are no income limits in contributing to the 529 Plan. There are also no age restrictions on the beneficiaries. You can create an account even for yourself as a beneficiary. Typically, the maximum contribution in a lifetime you could make into a 529 Plan is about I'd say 400,000 or so. But there are certain plans that have higher. The New York Plan as an example has I believe a $520,000 lifetime contribution maximum. These 529 Plans again, because they're owned by you, have a low impact on the financial eligibility of your children. So, that's another advantage. Another big advantage is the assets in this plan are removed from your estate. They count towards that estate exemption as well. And then finally from a 529 Plan perspective, typically these are considered gifts so you can gift up to $15,000 each year without exceeding the annual gift exemption. Or pretty much they also allow you to gift five years combined, it's called In The Five Year Rule. As an individual you can gift potentially $75,000 if you and your spouse want to gift together, that's about $150,000 you can gift to a beneficiary in a single year and that can be a tax-free gift. So that's kind of the 529 Plan, it has its advantages and disadvantages. I say in general we've seen about 40 to 45% of the families that are saving for their children's education, save in a 529 Plan. The other two that I mentioned, the UGMA, UTMA and the Coverdell ESA. UGMA, UTMA they are custodial accounts. We only see about maybe 10% of families save in that account for their children's education. And then Coverdell ESA is used by probably less than 5% of our client base. But kind of giving you an overview. So UGMA, UTMA it's technically. It's a custodial account, it's not an education savings account. People do use it for that purpose. Here you typically would create it for your child when the child is a minor. The child basically assumes majority age or maybe age 18 to 21 years, depending on the state which they live. The child would basically assume control of the account. The funds can be used in any way the child seeks to use these. It doesn't necessarily have to be for education expenses. This account, also because it's a custodial account. It's owned by the child and you pretty much are serving as the custodian. So it does have an impact on financially eligibility for the child. The assets again, are not removed from your taxable estate as a donor because you're considered a custodian on the account. The investment earnings may also be taxed at the child's rate. There might be a benefit there but kind of overall, it's not as beneficial as a 529 Plan. And then finally, we spoke about high level Coverdell ESA or the Coverdell Education Savings Account. This is where you ... Here there are income limits. I believe you need to have an income below a certain threshold. I can't remember what the exact number is but you need to be below a certain income threshold in order to make contributions into this Coverdell ESA Account. The maximum contribution you're allowed is only $2,000 annually per beneficiary. This account is pretty much it allows you for tax free and resting like a 529 plan and the withdrawals on the account can also be used for K-12 or higher education expenses. There is a little bit of age restriction in the sense that you can contribute through to these accounts as long as your beneficiary is under 18. You must use the assets completely before the beneficiary turns 30 years old. If you think you have withdrawal them as taxable income at the age of 50 years. These are three different eduction savings plans. Matt, I know you mentioned. Just going back to your topic, I know you mentioned volunteerism. Can you talk about some of the initiatives you are pursuing there? Matt Duke: I am a huge proponent of volunteerism. I strongly believe that while I have some pretty grandioso ideas as to how I can help as many kids as possible. That doesn't really deter me from trying to make an impact in any one or two kids lives. So what I've done is operated as a personal mentor to a few kids who are not related to me or really have no relations what so ever. Just to try to be a role model. Try to be there, help out whenever I can. And then do volunteerism in terms of whether it be going to Habitat For Humanities or donating clothes or going to a food shelter. Things of that nature. But down the road, I am very passionate about teaching as well. So that's something that I'm looking forward to volunteer doing once we get established and figure out where our community will be. Sahil Vakil: Fantastic, that makes sense. It sounds like you are at a stage where you have the option to honestly restart, right. Pretty much from, this is the second chance in that sense to reestablish and restart your life in the United States. Having said that though, are there any rules that you follow with your money? Do you decide, as an example? Within a specific threshold or number you have in mind at which you say, okay. I'm ready to do my next start up or this number means I'm retired. Are there any other rules you follow with your money? Matt Duke: Sure, so in terms of rules there's a few high level ones. Warren Buffet was the first person that influenced me in terms of the amount of money you should pay in terms of a house. What he shared was ... I believe the stat was about 30 to 33% should be about the maximum amount of the amount you're earning to purchase a home. So doing that, in terms of budgeting, I think is tremendously helpful. And speaking on the note of budgeting. The best advice I can give is if you run your personal finances as you do a company. Then it's the best thing you can do for yourself. I personally have operated this way before, I'm doing this now. Where I have a spreadsheet and I know there's software and so many online tools that I'm sure your company offers. But analytically manage, I get paid on this day. These are the bills that I need to pay. And this is the entertainment budget so that we can maintain the nights of course happy wife, happy life. Outside of that, how much money we can save. What percentage you need to set aside. And then on a monthly basis will compare the, what we call in finance, actual versus expected. I expected to pay X, I spent Y. If Y was less than X, great. More money went into savings. But if Y was bigger than X, well in that case we'd then take a look and reassess the bills. Was I being too frugal in my estimates? Was I expecting to pay rent for $500 but I have to pay $1,500 for rent? And continue to adjust. Being able to reflect on my finances or my spending behaviors and my savings behaviors. Allows me to adjust and come up with realistic attainable goals, one. And two it helps me to understand how much risk I need to take because as you know. The more risk you take is the higher the return you could get on your investments. So if I have a lot of my money in a savings account which earns less than 1%, if I have a goal I'm looking to hit in five years. Well, I may need to invest in stocks or something that's a little bit more risky to be able to hit that goal. Sahil Vakil: Great, thank you for sharing. This is fantastic. 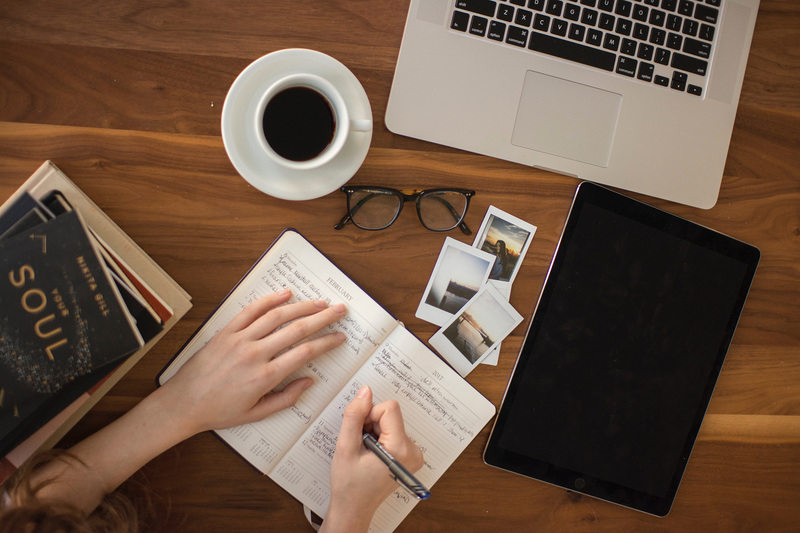 I think what really resinated with me was the fact that you actually go about what you mentioned as cash flow planning and budgeting and goal based investing. That's also a strategy that we employ here. Basically from a goal based perspective we first identify what our individuals short term, mid-term and long term goals. And then based on those goals we basically invest in different accounts to help them accomplish it. It's also a completely risk based approach as you mentioned. Typically we do risk analysis, identify what the individuals risk number is on a scale of zero to one hundred. One hundred being the most risky, zero being the least risky. It's the same that if you were a 70. That's similar to the Dow Jones and a 99 is like Tesla stock versus a 1 is cash. If your risk number came out to be 70, we know that overall we need to invest you in a 70 portfolio. But to your point, if your goals are different. If you want to buy a home in two years then maybe we just invest you in cash that home account but then for your retirement which is a longer period. We could put you in potentially Tesla stocks such that it evens out to that 70 risk number. So thank you for sharing that. That's definitely a very interesting strategy, the goal based financial planning piece. Matt Duke: Great and I love the way that you guys are approaching it. That's why I believe it's the right approach to doing it because to your point, everyone has different goals. I had someone ask me, Matt. I have a lump sum of money. How should I best invest it? When I tried to explain to them exactly what you shared. Well, the first thing you should do. Make sure you put your money in a tax sheltered thing if you can. If you're not investing in 401K, put the money in the 401K. That's the highest return you can get. It's tax sheltered but outside of that. Speak to a financial advisor because my risk tolerance. The things that I'm comfortable doing and not comfortable doing is significantly different than what that person whose risk adverse. So while I may want to invest in particular stocks and start my own business. They're a little bit more conservative. They may more prefer to work and earn a steady income. So our deal on risk is totally different. I love the approach of assessing each persons risk tolerances and coming up with an investment strategy. That's tailored for them because everyone really is different. Sahil Vakil: And you would love that right Matt because you're an actuary. So you live and breathe risk right. Matt Duke: Yeah, I love numbers. Matt Duke: So those are the high level things that I tend to look at in terms of ... Since most people's largest expenses are a home or rent and then the second thing will end up being a vehicle. And then everything else falls after. So definitely with the home. Try not to exceed 33%. In terms of a vehicle, one statistic that I heard which was pretty phenomenal and pretty eye opening was that if you lease a vehicle. And you're changing your vehicle every two to three years. Then over the course of your lifetime you would have spent an additional million dollars over that lifetime as opposed to if you bought a vehicle. Regardless if it's new or used and kept the vehicle for 10 years. So, that's something else I'm incorporating as well in terms of picking out a vehicle that's not just nice or flashy or what have you. But pick something that's reliable. That's a little bit cheaper to fix. I have a hybrid now so it's a little bit better on gas. And I can share it, it's an Infinity Q50. It's a 2015 so I purchased it used. Made sure that the mileage was low but it's a very strong vehicle and those vehicles tend to last about up to 200,000 miles since the last research I did. So that helps me to lower the second largest expense that most people tend to have. Sahil Vakil: I think Matt conceptually you're absolutely right Matt and here is kind of the high level reason, right. You often hear that a car looses 20% of its value as soon as you buy it and drive it off the dealership. Literally one minute, you drive it off that dealership and a $30,000 as an example. Will lose $6,000 right off the back as you gleefully drive it off the car dealerships driveway. If after a minute you wanted to return and sell it back to the sales person. They will offer you literally $24,000, I mean try it. By the end of the first year pretty much into the mileage and the wear and tear. It could even bring down the value of the car down by 30% or more. Typically, by the end of the third year the car is only worth a little over half of what you paid for it. Effectively if you sell it, you would just get maybe $15,000 back on a $30,000 car if you use it for maybe three years. Over a lifetime and the same person drives for 60 years of their life. From the time they get their beginners license to 70, 75 years old. That's about approximately 20 cars if we basically assume they use a car for three years. If you buy and sell 20 cars and you're pretty much effectively paying $15,000 assuming it's a $30,000 car for each of these, it's about $300,000. Versus if you owned a car for about 10 years and then the value becomes crap. Over a lifetime of 60 years, you would only buy six cars. Guess what, you just paid $30,000 into $680,000. So effectively over your lifetime, you will be saving about $120,000. If you use the car a much longer period, maybe 10 years versus 3 years. But again, that's because of the depreciation that cars take that initially. It's much higher than in latter years. Tell us about maybe potentially the best and then the worst financial decision you've made in your past. I think it's a good segway there. Matt Duke: Okay sure, so believe it or not. I go back and forth on this but I can share this with your viewers. The best decision that I've made was to invest in Height. And even though it was $150,000 of personal funds and even though we ended up closing the company due to economic conditions. Which by the way, Uber closed down too. So I didn't feel that bad. Investing in yourself is the best thing you can ever do. And you've probably been in the same boat as where we both have MBA's and other credentials. So all of that in itself is investing in yourself, investing in education. Those are returns that when people may not think about it from a return perspective. By getting a higher education really does set you up for success because it's empowering your mind. And with empowering of mind you can make better decisions and then you can do so much other things. And so the biggest investment to me was after paying for all this education. Acquiring all this knowledge was working up the courage to invest in myself one more time to say well. I don't expect other people to invest in me if I'm not willing to invest in myself. And so, I was really, really happy about that one. Sahil Vakil: That makes sense, so basically what I'm hearing is you're saying you made two really good financial decisions. The first one was investing in the Wharton MBA program which, what is it these days? Like $150, $180,000? And then a similar investment in Height which is another $150,000 and both gave you significant learning experiences. So, that's fantastic. What about the worst financial decision? Matt Duke: So the worst one will probably be atypical and this is totally a hindsight. So, I am on my second marriage and I am happily married. While the first marriage didn't work out for unreconcilable differences. Have a beautiful son and everything else. But the main thing that I am truly happy about which gets into the worst one. Was that the first wedding was a beautiful gorgeous wedding. Happened in the center of DC. We had flowers, we had everything. It was picture perfect. The more money you spend on a wedding doesn't correlate to how long your marriage or how successful of a marriage you're going to have. So from that correlation perspective. I would have to call that my worst investment. Sahil Vakil: Thanks Matt, thanks for sharing that story. I think there will be several listeners that it might resinate with in that sense. I think along the same lines, what has been your happiest or unhappiest moment with money? Are there any that come to mind? Matt Duke: As a child my parents instilled the ability to earn money at a very young age because I had to do house chores and things of that nature to get spending money to purchase things. And I remember clearly, to wash the car was like a high ticket item. It only happens once a week and that was $10 to wash the car. To polish my father's shoes used to be one dollar. So of course I'd rather wash the car, get $10 as opposed to having to polish my fathers shoes as he only had five pairs. And so it's the whole concept of course, earning to get money to do stuff. I remembered working my way up to have my first $100 in my name. And in Trinidad, the money is very colorful. So the one dollar bills are a reddish pink, five dollars are green and so forth. A $100 bill, it's a very awesome color blue. It's close to sky blue, it's really light. I thought it was beautiful and to have that. It was like a success. Yes I have my first $100, this is awesome. But I was still a kid. I must have been five or seven and probably like any other kid. I decided I'm gonna play with this $100 bill. So I'm holding it in my hand and I'm running outside. I'm waiving it with such excitement and then a small wind blew, took it out of my hand and it blew away into some neighbor's yard. And of course no neighbor was willing to tell me that they found $100 bill in their backyard the next day. So that was the saddest moment but the funniest thing about that story too. It kind of taught me that money, it doesn't matter where you are or how much you make. It's still requires a lot of effort and energy to earn it. So it definitely is something that should not be squandered or taken for granted. Sahil Vakil: That's a fantastic story because my next question When you told me you earned that $100 was how did you save for it because I know you have all these rules and you're a diligent saver. But clearly it blew away in the wind. Matt Duke: Exactly, it blew away in the wind literally. There are many things I've done before. Say for example, we'll have a night into the city and once again. Nothing can replace memories but there are things that you could have done a little bit more cost conscious. It wasn't until once again, came to the US. Had that reset in terms of understanding that in order to ensure that you can live a longer life which is something else that's also important. The average person ensure that the life expectancy is about 55 years old. So the average person isn't living between 55 and 65 depending on males versus female and a few other things. Versus in the US it's a lot higher than that. And the main reason why is because of quality of life. A lot of people in Trinidad and Tobago are working two, three different jobs consistently throughout. My mom was someone who did that. She worked two jobs and came home and raised my siblings as well as myself. I grew up in a household of four kids. Versus in the US yes, there are people who are probably doing the same two, three job hustle and things of that nature to provide and support. It doesn't have to be that way for the rest of your life. Which I think is something that companies such as yourself and even the US government tries to help to facilitate. A little bit better than some of the other countries across the globe. Sahil Vakil: So do you actually see that a lot of individuals from Trinidad and Tobago are actually immigrating to the United States? To increase their standard of living, to improve the health, to live longer, to basically improve the lives for their children. And you're seeing kind of a generational shift that already happened. Give us some thoughts on that. Matt Duke: It's already happened. The population of this is about 1.3 million people. And if you go back even 10, 20 years ago. It was still 1.2 million. So it's not that the country didn't grow that much. It's that people are coming in and out of the country that frequently. That it's kept the population about the same. When I when back down in Trinidad to start the business. What I heard from a lot of people that were down there was that if they can come to America to work, they would. Even if its just coming up for six months and going back home or coming up before a longer term set up. They definitely would and for some of the customers we had. It varied based off of age. For so the older customers who pretty much, their kids are grown up and things of that nature. They wouldn't mind coming to the US to get a full job here or there or do something for three to six months and go back home. But it's because a lot of them felt as though they wouldn't have the same opportunities as someone who's coming in young who can go through school. Or have more time to invest in the time necessary to establish yourself in a certain way in the US that thrives. Sahil Vakil: Right, that makes sense. So when you moved here in 1997 as you mentioned. If you had this conversation with your parents I think you probably a little too young at that time. But what do you wish more, international and multi cultural individuals knew about managing their personal finances when they first move to the United States. Did you feel like there was enough of an infrastructure to provide them with guidance? What do you wish your parents or you just knew coming in for the first time? Matt Duke: I'm glad you mentioned that too because it's something that I always remember in hindsight. I feel as though and I'm not speaking for all cultures. I feel as though there are many cultures where the parents aren't as transparent about their financial situations or their lessons learned. And so the knowledge or the information or the experience they have doesn't pass down to your kids. I know for example in Trinidad and Tobago, back when I was growing up there. It wasn't typical for kids to know what the parents financial situation were. What expenses were, things of that nature. So I will say I'm coming to the US. I don't think I was as prepared financially. So a lot of the financial savviness and understanding of finances and budgeting and things of that nature. Were things that I learned through formal education. However I do agree and believe that the things doing now, I probably could have done five to maybe even ten years ago if I had that information. Which is what led to adding that to my legacy definition of sharing information. I just think that we as parents, especially from an international background. Especially from different countries migrating to the US. The best thing we could do for our children is to be as transparent as possible. Share why coming to the US was the best opportunity. Back then when we came to the US, of course, I was about 16 or so. I just came and saw the high school. I didn't really have much of a choice. I didn't fully understand the opportunities that were given to me on Phillips a few years later. In which case I could have appreciated it. But I think if my parents had sat me down and explained Matthew, this is the situation. You have a country that doesn't have as much job growth or opportunities being created versus the United States where you have more access to information, to knowledge, to schools, to networking opportunities. Through all these other things as well. It would set you up in a much bigger way. In a way that you couldn't possibly ever imagine. I will tell you the best thing my parents ever did for me was take care of the necessary paperwork so I could get my Green Card and come to the US. Definitely, once again, that's the best thing my parents had ever done for me. However, if they had shared that financial information, I would have been that much better off. Sahil Vakil: Thank you for sharing that. I think that's very deep and kind of a meaningful journey that you've gone through there. You mentioned the information sources. Basically ensuring that your kids have all the information. Being very transparent. But what are your chief information sources regarding your financial decisions? Do you feel ... How do you know that you're making the right ones? How do you conduct your research? Where are you getting your financial information right now from? Matt Duke: I'm going to be honest and share. Even though I'm an actuary, so I am qualified to determine how much money an insurance company needs to have to keep in the bank, and if the investment strategy is the best strategy for its policy holders, for it insureds. I will say that I typically follow general industry information. But when I get to a certain level then I add on the advisor or financial advisor because while I'm doing something part-time. They're doing it full time. They have more time and more resources than I do as an individual to monitor the stock markets on a minute to minute basis to match the investment portfolios. My approach to investing and saving is once you reached to a certain point where you feel as though you have the most knowledge on. Then you include experts. Sahil Vakil: That's great, that great. I think a lot of our listeners would concur with that sentiment where focus your time and energy where you are an expert and leave the rest to individuals that know what they're doing. Tell us Matthew, what is the most important thing that your money gives you today? Matt Duke: The most important thing money gives today given that I'm a new father. I would say would be stability for my children. The ability to provide. To put food and to provide them with food and clothing. And a rood over their heads. That's really the most important thing that money is doing for me today. Matt Duke: You know at the moment, I'm probably focusing on the basics. Ensuring that we have emergency funds set aside. We are maxing out tax sheltered investment vehicles such as 401K, 529's, things of that nature and so forth. And then of course, looking to invest in a home. In an area that's up and coming to ensure the home appreciation is definitely maintained. And of course, appreciates the even greater levels. Once I'm done taking care of those things. I am reading up on Bitcoin. So I read up on the technology behind Bitcoin just to understand how it works and things of that nature. But in terms of that what's the next gold rush as I see people try to coin it as. I'm going to even before some of that to a specialist because Bitcoin or crypto currency did take a moment. It did take a lot for me to fully understand what exactly it was doing and now it is operating. It's not simple. And even now I'd say I probably scratched 10 to 20% of the surface of what's really happening. So for all those new and innovative things that people are coming up with to borrow and trade and things of that nature. I would then rely on investors to be honest with you. Sahil Vakil: Bitcoin is a crypto currency. It's a form of electronic cash. It is a decentralized digital currency without a central bank or a single administrator. This currency can be transmitted from user to user on a peer to peer Bitcoin network without the need of intermediaries like banks. Transactions are typically verified by network nodes through cryptography and are recorded in public distributed ledgers called a blockchain. I think the coin was invented by an unknown person that I believe they used the name Satoshi Nakamoto and released it as open source coding in 2009. New Bitcoins these days are created by a process called mining. Mining these days has become super expensive. I think you need really expensive super computers to mine Bitcoins and the price of these super computers pretty much equals or out ways the costs of the Bitcoin retrieve. The supply of Bitcoins is kind of considered limited in that sense until we get better super computers in that sense. Personally again, I'm not a big fan of Bitcoin per se. I generally think the underlying blockchain technology has significant potential. But that's not a topic for today as discussion but definitely maybe a future podcast in that sense. Folks in the financial services industry are after the opinion that Bitcoin in itself is probably not an astute investment. But the underlying technology as you mentioned the blockchain is something that's revolutionary and larger banks have started creating private chains. Private blockchains and are using it for purposes outside of just digital currency. So anyways, this is not a Bitcoin or a blockchain podcast so we will pause at that. Matt, now let's go away from reality into this land where we have an abundance mentality and if you had unlimited amount of money in your life. What would you differently? Would you change anything? Matt Duke: The answer is yes, I can say that. I think that would probably be true for most people because life is an interactive process of learning. And so what I would change would be that I would right now, the amount of time I spend earning money versus the time I spend pursuing my passion. Which is once again, besides technology and risk management. It is helping children. I would probably reverse the amount of time I spend on both. So right now I probably spend 95% to 5% just because I'm getting reestablished and would like to change that to probably 80% focusing on work, on personal life and so forth. And 20% focusing on children and things of that nature. I'd probably flip that around because I would be able to afford the ability to provide for my children and my family and things of that nature. So given that that's covered, I would more pursue my passion helping to ensure that the legacy is fulfilled or is realized. Sahil Vakil: Great, fantastic. Thank you for sharing. Okay, we thank you for sharing several of your insights over here. I love closing with this question because I feel like there's always pieces that we can learn and we always miss some items. But is there anything I should have asked you but didn't? Matt Duke: Huh, I think for the time you covered everything that you could. Matt Duke: It's been a pleasure, thank you for having me. Surely. It's been an honor and happy to chat for the time.